Pyrotect’s SA2015 Pro Sport Tri-Weave Composite helmets have been designed for increased safety, comfort, and unmatched quality at an affordable price. The Pro Sport SA2015 helmets come with a unique six pad interior system which allows for resizing the helmet for a perfect fit along with an improved headliner that allows for better heat transfer. The interior P1 venting forced air channels were designed similarly to their ProAirflow series, by adding ventilation ports directed towards the face shield which increases airflow to a critical area of the helmet. Additionally, the inclusion of strategically placed ventilation ports around the top of the head provides optimal cooling throughout. The helmets duckbill design improves aerodynamics and reduces neck strain of drivers who race open wheel cars by increasing downforce in the front. The Pro Sport helmets are vacuumed bagged and autoclave cured for superior helmet strength and durability while keeping the helmet as light as possible. 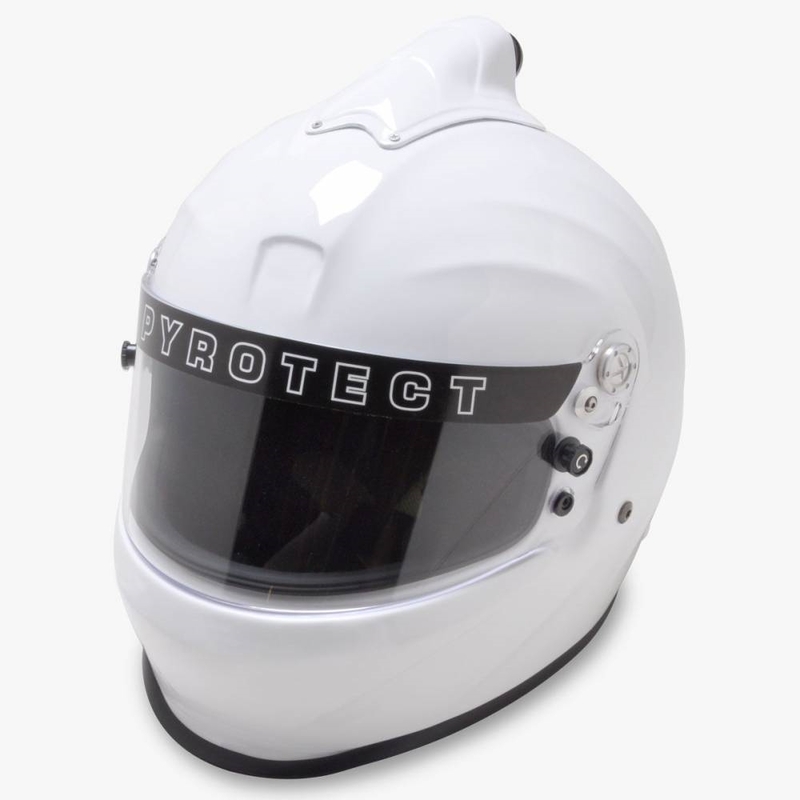 Additionally, the ProSport helmet is designed with a duckbill and built in airfoil on the back to reduce neck strain and wind drag.